Episode 44 - The Meaning of 75 with CARF President Brian Linn, KD0HII | Ham Talk Live! I’ve been signing off the show each week with 73 and 75, and many of you have asked what the 75 means. Listen to the show to find out with our guest, Brian Linn, KD0HII, the president of Christian Amateur Radio Fellowship. We will also talk about what CARF is doing, and how it relates to Christmas. 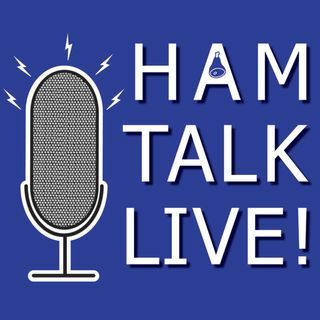 CALL IN LIVE during the show with your questions and comments at 812-NET-HAM-1 (812-638-4261) or by Skype at Ham Talk Live. Or, you can tweet us anytime @HamTalkLive. I proudly display mine in my shack. Can people still get special 50th Anniversary Certificate?